Robert Pinsky was born and raised in Long Branch, New Jersey. He graduated from Long Branch High School, as had his parents, and went on to college at Rutgers, The State University of New Jersey, and then to graduate work at Stanford, where he held a Stegner Fellowship. His Selected Poems (Farrar, Straus, & Giroux) was published in 2011. His previous books of poetry include Gulf Music (2008), Jersey Rain (2000), The Want Bone (1990) and The Figured Wheel: New and Collected Poems 1966-1996. His best-selling translation The Inferno of Dante (1994) was a Book-of-the-Month-Club Editor’s Choice, and received both the Los Angeles Times Book Prize and the Harold Morton Landon Translation Award. His prose books includeThe Life of David (2005), The Situation of Poetry (1976) and The Sounds of Poetry (1998). The CD PoemJazz, with Grammy-winning pianist Laurence Hobgood, is released by Circumstantial Productions. Robert has also performed reading poems with Ben Allison, Bobby Bradford, Vijay Iyer, Mike Manieri, Stan Strickland and other jazz musicians. Among his awards and honors are the William Carlos Williams Prize, the Harold Washington Award from the City of Chicago, the Italian Premio Capri, the PEN-Volcker Award and the Korean Manhae Prize. He recently received a Lifetime Achievement Award from the PEN American Center. 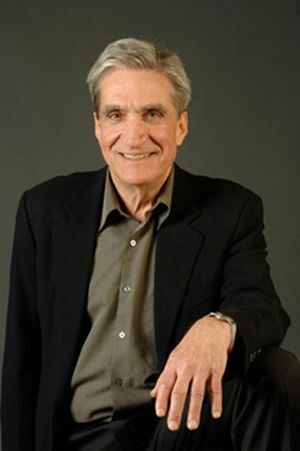 Robert Pinsky founded The Favorite Poem Project, including the videos that can be seen at www.favoritepoem.org, while serving an unprecedented three terms as United States Poet Laureate.